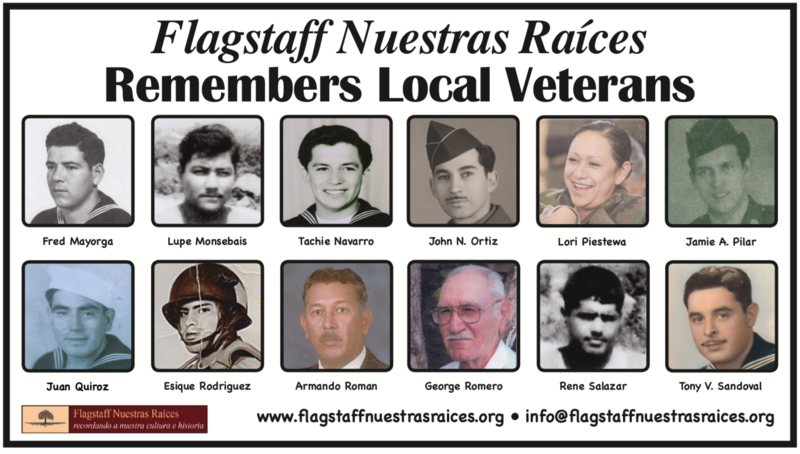 In remembering “Our Roots,” Flagstaff Nuestras Raíces is proud to recognize the sacrifice and dedication of veterans in the region. 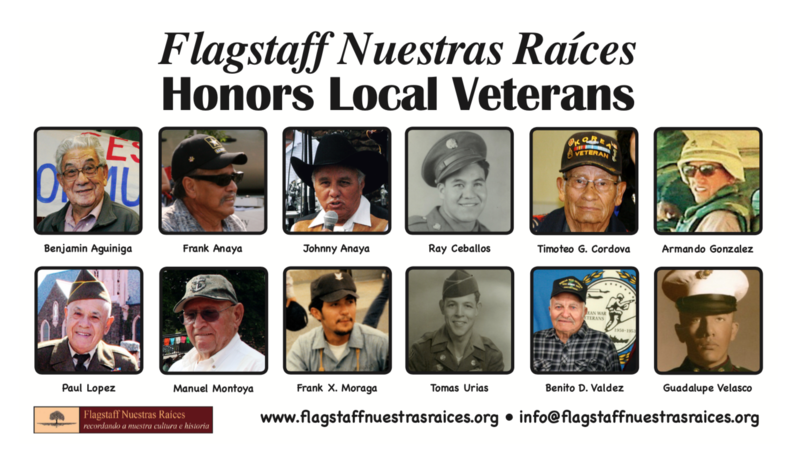 Flagtaff Nuestras Raíces honors area veterans by participating in the annual Armed Forces Day Parade held each Spring in Flagstaff. Veterans in the region are also recognized during a group photo and program held during the annual Summertime Tardeada held each summer in the region. 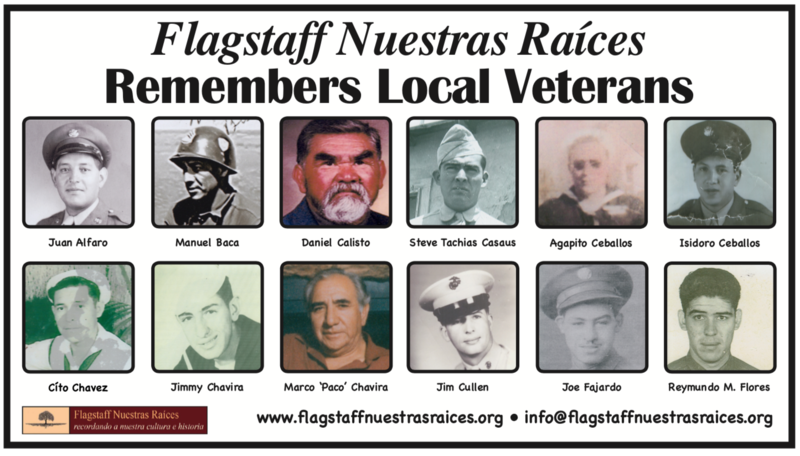 In 2018, Flagstaff Nuestras Raíces created banners to honor the service and lives of local Hispanic veterans. 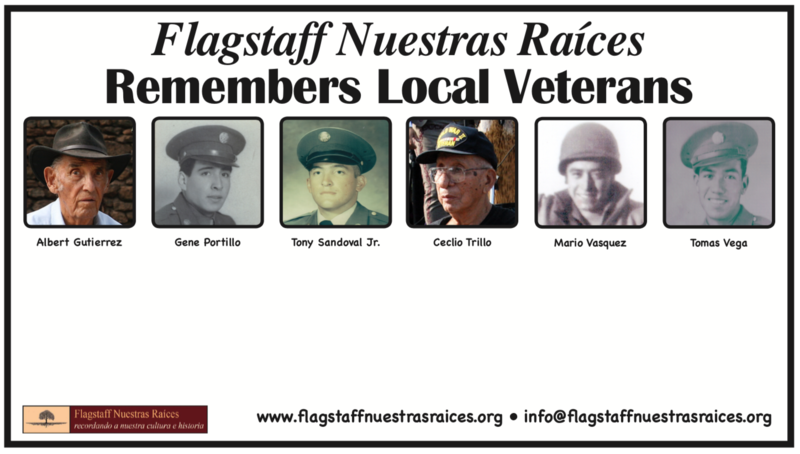 The banners are displayed at the Flagstaff Armed Forces Day Parade and other local events. 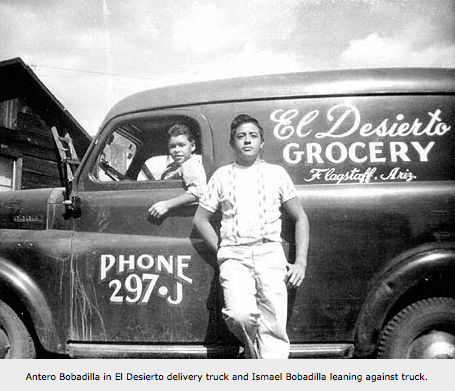 Local Hispanic veterans honored during events at the American Legion Post 3 in Flagstaff and the Flagstaff Nuestras Raíces Hispanic Pioneer Picnic in 2013.